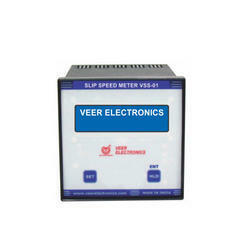 Manufacturer & Exporter of Slip RPM Meter. Our product range also comprises of Power Analyzer, Power Meter and Digital Iron Loss Testers. Computer Interface RS-232 serial interface. Data Transfer Rate (Baud Rate) 19200 bps. Weight (Approx) 1.5 kg approx.